Seg races to save his city from being taken over as the bottling of Kandor begins. Seg must decide if he is willing to make the ultimate sacrifice in service of the greater good of Kandor. Seg is faced with an impossible choice that will shape the El legacy and the fate of the universe. 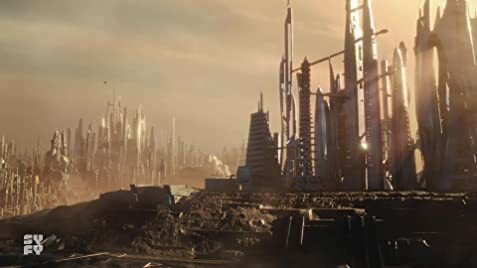 How many episodes of Krypton have you seen? There's more to the Legend. The DC Comics logo is set in space, and embedded with red Kryptonian earth. It turns green (the color of kryptonite, radioactive Kryptonian earth) and explodes (foreshadowing Krypton's fate). Apparently if you like a show these days you are automatically a fake account. Of course these opinions are from the same people who believe that because your parents are British you should have a British accent. Forget the fact that you were never exposed to them or their culture in the first place and instead raised on a farm in rural America. I digress. 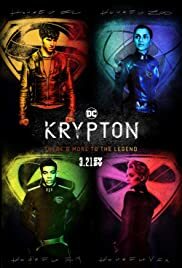 This is an interesting new show set in the DC Universe Obviously revolving around the Superman mythos. Unfortunately much Like the rash of crazed fanboys who continually slated the new Star Trek series (solid 9 by the way, do yourself a favor and binge the whole 1st season before you judge), Many reviewers feel that you should not watch this for yourself, just because they said so. Yes most of the actors have British accents and yes you will probably dislike some of them but aren't emotions what a decent show is supposed to evoke? It's a good start and yes there's room for improvement but there is plenty of opportunity for good story lines and I for one will finish out the full first season before I make a final decision. 54 of 84 people found this review helpful. Was this review helpful to you?